Come join forces as a volunteer for the Catalina Island Conservancy in our efforts to protect and restore one of the world's most magnificent islands. Your experience will serve as an excellent opportunity to learn about the unique ecology of Catalina Island, give back to the environment, and have some fun all at the same time. Volunteers are a critical component of the Conservancy's mission. Our Volunteer Program matches interested groups and individuals with projects related to the conservation of Catalina. Your talents and skills are matched with volunteer positions or projects that best satisfy your interests and aid in the fulfillment of the Catalina Island Conservancy's mission. You can participate in a one-time project or volunteer over several months or years. 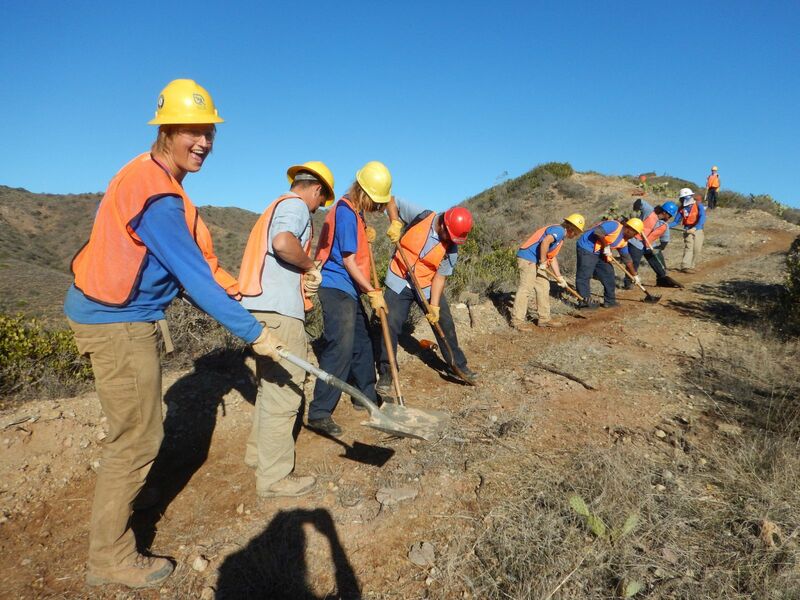 Volunteers are an integral part of restoring and preserving Santa Catalina Island. People volunteer for various reasons with the Catalina Island Conservancy; some to learn more about conservation and assist the Conservancy, others to gain work experience in new fields, while others want to enjoy the beauty of Santa Catalina Island from a different perspective. We appreciate your interest in the volunteer program of the Catalina Island Conservancy, a private nonprofit conservation organization, dedicated to the preservation of Santa Catalina Island. Volunteers are a critical component of the Conservancy's mission and the success of our program was recognized in 1995 when it received the prestigious Chevrolet Outdoor Conservation Award, cosponsored by the National Fish and Wildlife Foundation. Recognition - One of the many ways the Catalina Island Conservancy recognizes its volunteers is by offering our dedicated volunteers the opportunity to "exchange" their time. The Conservancy holds its annual Volunteer reception to honor and celebrate its valuable corps of volunteers. Click here to print an application to be mailed or faxed (PDF).